Yes, I’m jumping the gun a little on the fall flavors with the pumpkin, but I’m getting antsy. Fall is my absolute favorite, and by the time late-August hits each year, I’m rubbing my hands together, wide-eyed with anticipation for cooler, more blustery weather that calls for boots, sweaters, cozy coats, and the like. And, the food! Trust me, it will ALL be covered here in the next few months. 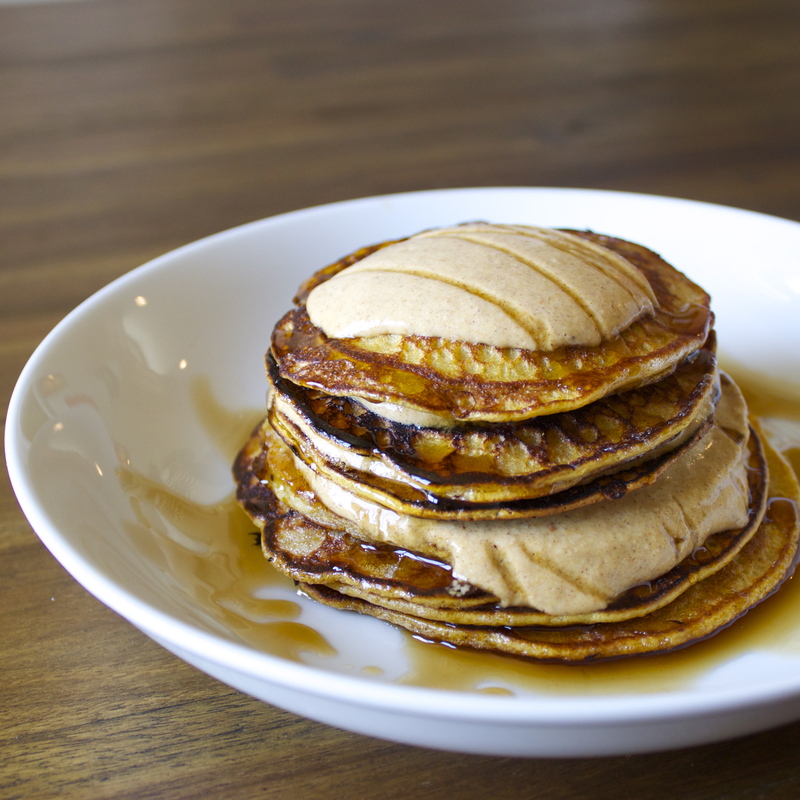 Right now, I’m experimenting with different gluten-free flours, and these pumpkin pancakes include tapioca flour, making them extra-springy and extra-fluffy. They really are pretty fantastic. 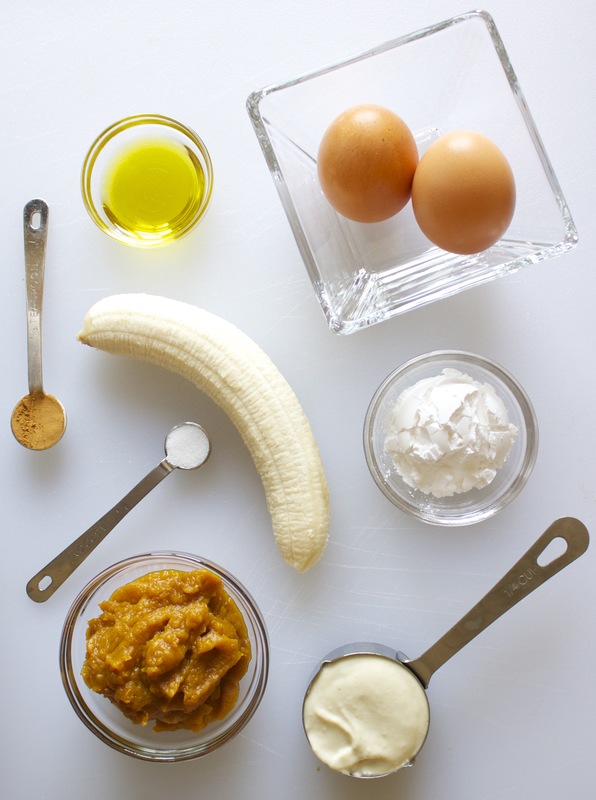 In a blender, process eggs, oil, banana, salt, flour, and 1/2 of a cup of the pumpkin pie mix until smooth. Stir together the remaining pumpkin pie mix (1/4 cup), cashew cream, and cinnamon. 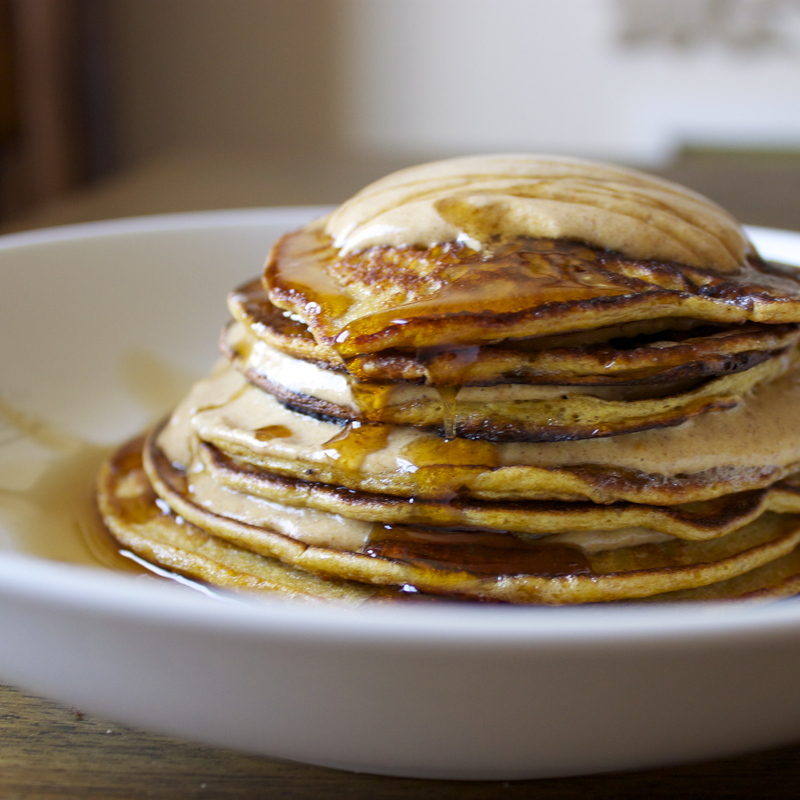 On medium-high heat, spoon pancake batter in to skillet, 1-1/2 tablespoons at a time. Cook until bubbles rise and pop on the surface, 1 to 2 minutes. Flip and cook second side until golden brown, 1 to 2 minutes. 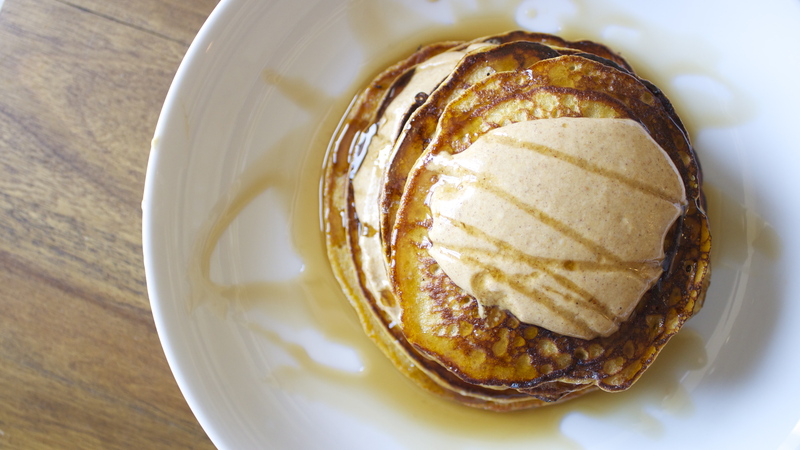 To serve, layer pumpkin cream between pancakes, then drizzle with syrup.